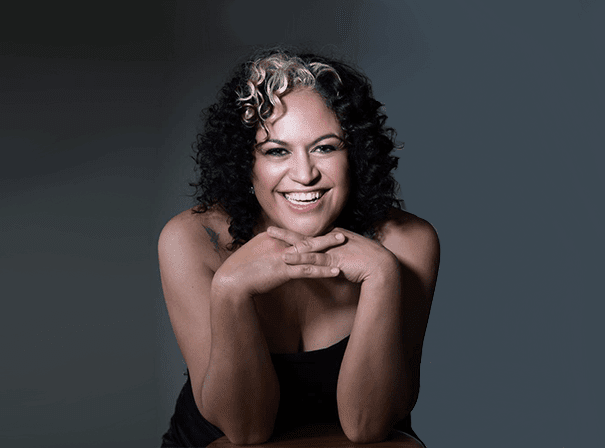 Kylie Auldist is an Australian vocalist with a unique and extraordinary vocal talent. She has a great range of singular style that sees her able to reach great soulful highs as well as deliver heart aching tenderness with real ease. As such, it is often the likes of Diana Ross and Sharon Jones with whom she is compared, and, given her palpable energy up on stage, they are fair reference points. Kylie is blessed with real vocal power and can entertain and elevate all manner of audiences with her stirring performances. In her time, Kylie has had a number of hits, including plenty of chart successes with tracks like the Kungs vs Cookin’ on 3 Burners version ‘This Girl’, which hit No.1 on the UK iTunes chart and No.1 on the Shazam charts. The track was also Track of the Day on Radio 1 and hit number 4 in the UK Singles Chart, received heavy rotation on BBC Radio, pricking the ears of soul legend Craig Charles and Worldwide man Gilles Peterson, and has racked up more than 14 million views on YouTube. As Kylie continues to pick up fans, Freestyle Records have made it known that they are re-releasing the original version of ‘This Girl’ and will follow that with a new five track vinyl EP called Waste of Time. This will then be followed with a full length artist album, Family Tree — her first came on Tru Thoughts in 2012 and soared around the UK and Europe — that will showcase her style in all its glory. As such, the future is as bright as the past for this essential vocal talent who will continue to shake up the dance world.